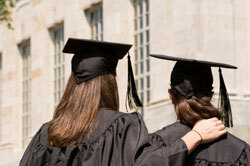 We offer FREE Checking to any eligible graduating high school senior. And we will deposit $25.00 into your account upon activation! Accounts can also come with a debit/ATM card you can use at virtually any ATM (ATM fees may apply). To be eligible, high school seniors must have a parent, grandparent, sister or brother who is a current PennTech Credit Union member. Two each $500.00 “John Servidea Memorial Scholarships” are offered by PennTech Credit Union each year to all eligible graduating seniors. Applicants must be a high school senior and have a parent, grandparent, sister, brother or himself/herself – be a member of the PennTech Credit Union.